Bittorrent Sync is a simple way to sync your data across devices and computers. There is no “Cloud” needed to sync your data. Its a smart and useful solution for us who don’t need a complex infrastructure in order to sync or backup files across the internet. 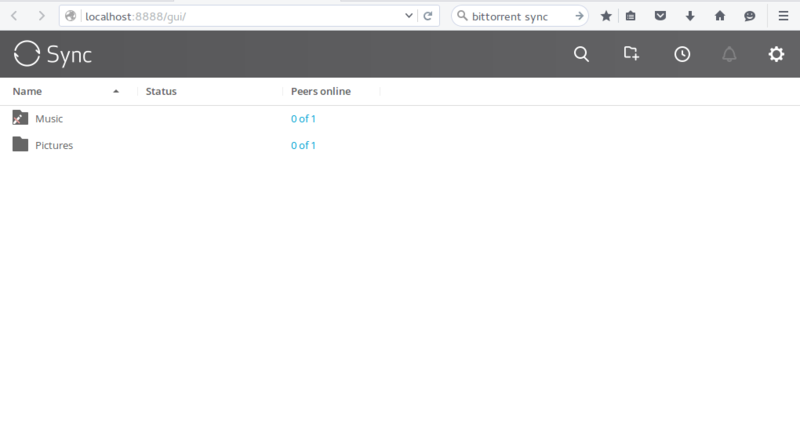 Bittorrent Sync will synchronize your files and folder from one device or PC to another devices directly via internet. You can sync your Linux with Android phones, Windows or even Mac OS X as well. Here I will show you how to install Bittorrent Sync on Ubuntu. I am using Ubuntu Gnome 15.04 64 bit edition. The installation is the same on any other Ubuntu version. First, we need to download Bittorrent Sync package for Linux. You can navigate to the following link and download the binary from there. Now, I assume you have downloaded the file. You should have something like this: BitTorrent-Sync_x64.tar.gz. Now extract the file. It will produce a new directory called BitTorrent-Sync_x64. Now open the folder and open Terminal from that folder. You can simply right click on the BitTorrent-Sync_x64 folder and select Open in Terminal. On the first run, you will need to create a new user and password. Once logged in, you can start managing your Sync folder, add new devices and many more. For more information, you may read the official help.